Festival goers Charlotte Peppard, left, and Ruby Hook, of Milton Kings, England, attend the 2015 Coachella Music and Arts Festival, in Indio, Calif.
Singer Nicole Scherzinger poses for photographers upon arrival at the Olivier Awards at the Royal Opera House in central London. Jennifer Lopez arrives at the MTV Movie Awards at the Nokia Theatre. 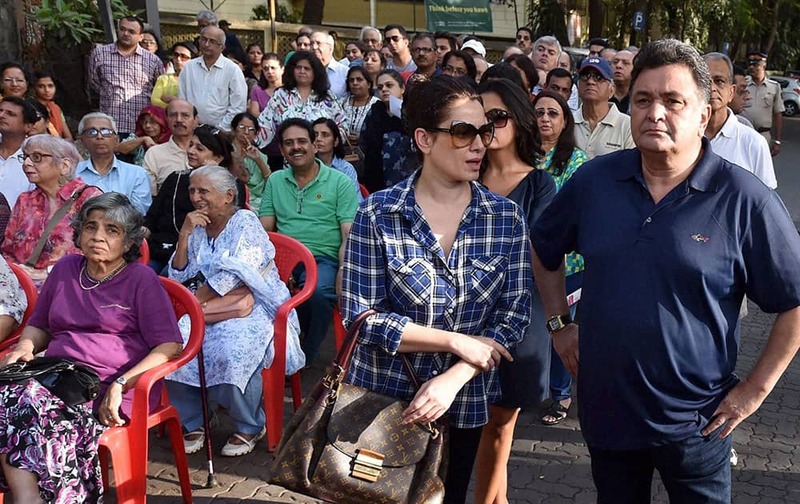 Actors Rishi Kapoor Neelam Kothari and Pali Hill residents protest against civic bodys proposed hawking zones in Mumbai.